Engraving is a process that permanently carves information into metal or plastic. 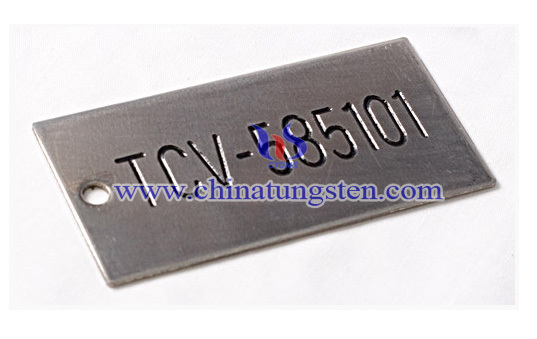 It is a metal tag marking method that ChinaTungsten Online has offered over two decades. 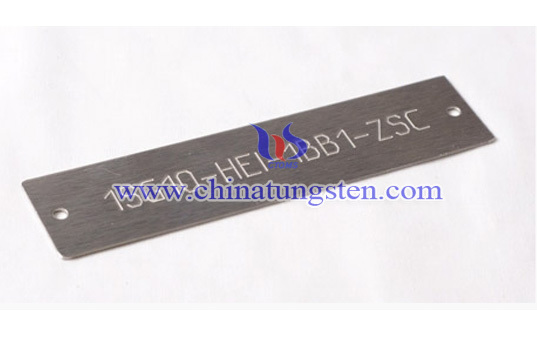 Engraved tungsten tag is the most durable, long-lasting marked tags and we use rotary cutters that engrave metal an average of 0.005 to 0.012 deep. Engraved letters can be filled with paint or epoxy on one or both sides of a tag or nameplate. We are capable of custom engraving to your specific drawings. Our methods include both laser and metal engraving. Send us your detail patterns of engraving, and you will get your unique tungsten tag. If you have any interest in engraved tungsten tag, please feel free to contact us by email: sales@chinatungsten.com sales@xiamentungsten.com or by telephone:0086 592 5129696.